Sunny strolls with the pooch | Days three and four of my #AlproTops challenge | Loving the new Twitter layout! 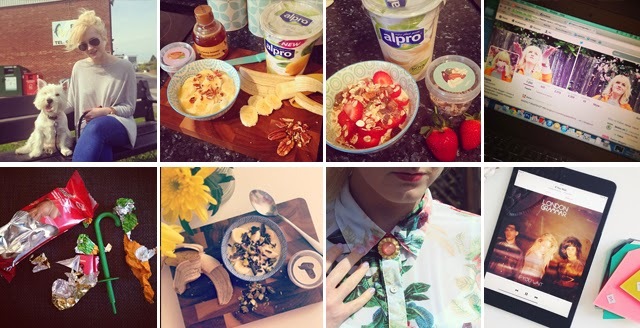 | Easter chocolate sales are the devil | Final say of the Alpro challenge, and the yummiest one by far! | Outfit details from Saturday’s shoot | London Grammar’s album is the perfect Sunday soundtrack. "FASHION THROUGH THE YEARS: A LOOK BACK AT MY STYLE WITH ZALANDO"
"WISHLIST: THE DESIGNER LUST LIST"
I can't believe I seem to have totally missed out on all of the after-easter sales as well, I was hoping to pick myself up an easter egg but there didn't seem to be any left, anywhere!